Is Heisig effective for learning kanji? Following on from my previous post about how I learnt Kanji, I thought I'd write about the Heisig method, a popular choice for many learners of Japanese. The 'Remembering the Kanji' series of books by James Heisig have their fans, and it's easy to see why. From a absolute beginner's perspective, the books promise 'A Complete Course on How Not to Forget the Meaning and Writing of Japanese Characters'. If you work through the first book, from start to finish, you can go from never having seen a kanji before to having seen a lot of them. You'll probably also be able to write most of them, and will have a vague idea what most of them mean. BUT! You will not be able to read Japanese. He explicitly states that you shouldn't learn the readings until you can write them. All 2000 odd of them. The second book teaches the readings, completely out of context as a list of arbitrary vocabulary. Now, I don't think that working through the Heisig books is a waste of time. On the contrary, it's a good as way as any of familiarising yourself with Kanji. The first Heisig book is a very well defined project, in project management terms. It's got a measurable goal (number of kanji covered), a definite end (the last page) and clearly definition of success (being able to write the kanji and know one English meaning). The problem I have with Hesig is the way he recommends going about the challenge. 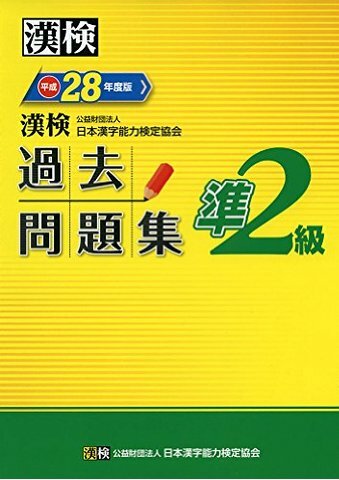 If you really want to extract any sort of enjoyment from learning kanji and get through it as quickly, superficially and joylessly as possible, then Heisig is as good a method as any. I've seen an estimate of about nine months to work through the books. That's nine months of no reading, only learning how to write the Joyo kanji and a single English meaning. There's a reason that Japanese children learn the Kanji in stages: there's no point learning kanji for words you don't know. The 1000 kyoiku kanji taught in primary schools are, mostly, fairly practical kanji that you see a lot. Once you go above that, though, you need to have a fairly decent vocabulary, and by the time you get to the end of the Joyo kanji, even Japanese people will say they've never seen the characters before. These are extreme examples, but 璽 'imperial seal' and 朕 'first person pronoun for the emperor' are not everyday words. Even in the Kyoiku kanji, do you really need to know 后, 'empress'? I see 壺 tsubo 'jar, pot' a lot more and it's not even a Joyo kanji. Why would you need to know these when you're not yet reading the language? Not only that, but the more kanji you know, the better you get at remembering them. It becomes easier to remember them as made up of other kanji, rather than as stories in English. By the time you get to about 500-1000 characters, you've probably outgrown the need to create a story for every new kanji. I had a look at book 3 (now out of print) for learning the 1000 kanji beyond the Joyo. I got about two pages in before it became clear that it would only be useful as a list of relatively frequent kanji. In the first couple of pages it gives the mnemonic for the element 粦 as 'shoeshine', which it states is an arbitrary name for it. Now, if you're onto your third thousand of kanji, there are at least ten better ways of remembering it, especially when you consider that you should already know the kanji 隣 very well indeed by that point. The kanji 責 is in 積 and 績, and they all have the Chinese on-reading of seki. This is not a coincidence. If you learn that 責 is read seki (in the very common word 責任 sekinin 'responsibility') then you've learnt a reading of the other two. However, when writing the kanji 積, you may remember that it has the reading seki, reinforcing the right hand side being 責. This circular logic may seem counterintuitive, but eventually it becomes clearer how the 'sound' part of kanji works, and how 青, which usually has the on-reading of sei, could give 情 the reading of jou. I have often surprised myself that I remember how to read a kanji just by looking at it, even though I don't really know the character. The brain works better if you reinforce knowledge in many different ways, and it can make connections even without you being directly aware of it happening. Admittedly, the second Heisig books tries to teach the meanings in this way, but why wait until then before you can make that connection? Knowing the English meaning of a kanji is a good way of understanding it, but limiting yourself to a single word doesn't make sense. Many kanji have a very broad meaning to begin with, but Heisig often choses a fairly esoteric and rare meaning as his key word. For example, in the video below, Chris Broad explains how he learnt the character 摂 using Heisig. I have two problems with this. The main one being the key word 'surrogate'. My Kanji dictionary lists 'act as an agent' as the third meaning, and the two example words it gives with this meaning are so rare that they're not even in a medium sized Japanese dictionary. In most words, the character has the meaning 'take' or 'take hold'. The second point is that in the context of Japanese, this character doesn't need the convoluted explanation given in the video. 摂 appears in the word 摂取, sessyu 'intake (of food or nutrients)'. 取 means 'take', as it's a hand 又 taking an ear 耳, and originally meant cutting off an enemy's ear. The four dashes mean 'the above repeated twice', so it's a hand 扌taking three ears 聶, i.e. not just taking, but really taking in. So now I've learnt an example word, related it to a similar meaning kanji, have a mnemonic for how to write it and know the reading. Even for simpler characters it doesn't make sense to only learn a single meaning. 日 can mean day, sun or Japan. These are all elementary meanings and there is no need to restrict yourself to only one of them. You will forget some kanji however you learn them. And that's fine. This review of Heisg seems to suggest that you will never forget Kanji learnt through Heisig's method. I say to that: rubbish. It also mentions the myth that Japanese children only learn Kanji through rote learning. Again, nonsense. Yes, they do write them out a few times when they first learn them, but after that it's practice through writing essays, reading books and seeing the characters in context. Japanese people use kanji every day of their lives, and yet still forget how to write them. Knowing Heisig's mnemonics is not going to prevent that from happening. 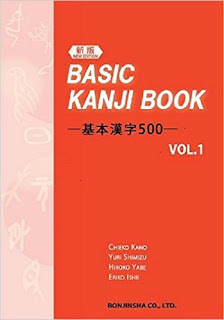 Twenty years down the line, Kanji will feel like second nature to you, but you'll still forget exactly how to write a kanji sometimes. This is just the brain being efficient, but learning and forgetting is not the same as never having learnt in the first place. Working through Heisig is going to give you a better understanding of Kanji than having no knowledge at all. It doesn't give a deep understanding of kanji, and it doesn't allow you to read Japanese. So while it may achieve what it sets out to do, that aim isn't to speak or understand Japanese. The only way I can see that being the best strategy is if you're not in Japan and aren't taking a holistic approach to learning the language. Even then, you're going to need a lot of patience to stick at it. 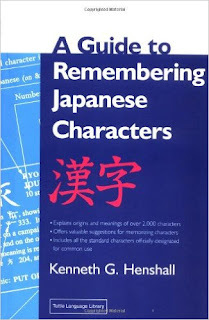 It does provide a list of read-to-use mnemonics, but if you really haven't got the imagination to come up with your own, I'd recommend Henshall's 'A Guide to Remembering Japanese Characters' over Heisig. To answer the original question: is Heisig effective for learning kanji? It's effective for learning kanji in the very narrow definition of 'learn' that Heisig uses. But you'll still be a very, very long way from mastering them or even reading Japanese. Do it if you want to, rave about it if you like, but it's not magic, and it still takes a huge time commitment and a lorry load of perseverance. One of the biggest hurdles Japanese learners face is the seemingly endless mountains of Kanji there are to master. Part of the problem is that it isn't actually obvious what it means to 'learn' Kanji. 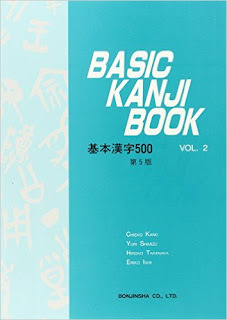 I began with the 'Basic Kanji' 500 books. These are great for giving an introduction to Kanji, the vocabulary they are used with, and building up an understanding of Kanji structure. I also tried the more advanced books in this series, but my advice would be not to bother, as they're completely impenetrable. At about the same time as doing the second book, I bought Henshall's 'A Guide to Remembering Japanese Characters'. 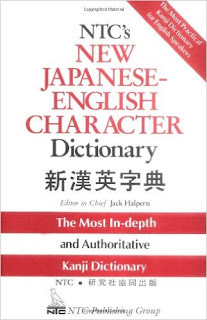 This book is brilliant because it gives the origin of the Kanji, and the story of the character itself is often a better mnemonic than anything you make up yourself. The book does include suggested mnemonics, but I didn't use them. I did make up my own mnemonics, but I quickly found that it wasn't always necessary to have a clear story in my mind as to the structure of the character. For example, I knew 曜 as 'day of the week' so 濯 is 'washing' because it's got water and you can do it on any day of the week. That's a rubbish story, but as long as it sticks in your mind, that's great. I would also learn a representative word or two that it was part of. This helped understand both the meaning of the character, it's reading, and expand my vocabulary. Henshall's book can be used as a rudimentary Kanji dictionary, but that isn't what it's designed for, so I bought Halpern's Kani Dictionary. This is by far the best Kanji dictionary out the for the student of Japanese. It's easy to use and actually pretty readable, and I found the appendices really interesting. I also wrote down every new word I came across in Kanji. If I heard I new word I would get somebody to write it in Kanji for me. To start with I wouldn't recognise the characters, but as time went on I would know more and more, and would eventually be able to guess what the kanji was when I heard the word. I would also try to read; anything is good reading material. Eventually I had seen enough characters enough times that I new their meanings, their readings and, with some more practice, their writings. At no point did I go in for rote memorisation of the kanji out of context of the Japanese language. After 18 months I knew enough Japanese to pass the old JLPT level 2. Not a brilliant pace, but not bad either. Then I started on the Kanji Kentei, beginning with level 5. This is all Kyoiku kanji, those learnt by Japanese children during the first six years of school. Now, from the start, I loved Kanji. 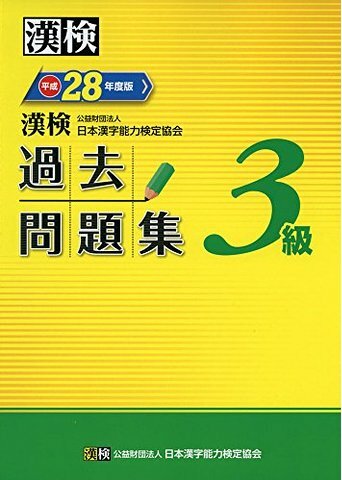 I found it absolutely fascinating, and it probably kept me motivated when I got fed up of learning grammar or vocabulary. I thought that level 5 would be a pushover. It wasn't. It opened my eyes to how Japanese people see Kanji. For the first time I could see how you sometimes have to look at them as Chinese in order to make sense of the meaning, as many compounds follow Chinese grammar rules. Above all, though, it really expanded my vocabulary. Knowing how to write the Kanji and their individual meanings was barely ten per cent of the effort needed to pass. From there I took one level of the Kanken every six months. Generally it took three months to master a level, and then I'd leave it for three months. It took about six months to master level two and consistently get 80% on the practice tests, so about three years from starting level 5 to passing level 2. I'll cover in a different post my strategy for passing the Kanken. I really enjoyed them as a challenge, but they also give structure to covering all the Joyo kanji thoroughly and measurably. I couldn't pass level 2 now, but that doesn't matter. Forgetting Kanji is part of learning them, and there is a huge difference between forgetting something and never having learnt it. This is also something for a beginner to remember when they can write a Kanji a Japanese person doesn't know. You may know that specific kanji, but their knowledge goes to depths the beginner can't even imagine. I would certainly make that point to smug little me all those years ago. Happiness, happiness, the greatest gift that I possess.... That almost undefinable feeling that we all strive for in one way or another. Unfortunately, one gets the impression that the common people in ancient China didn't have an awful lot of it. 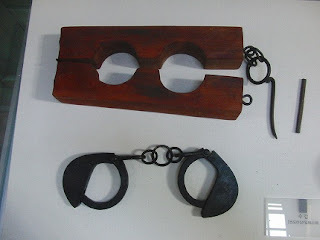 Given its importance to the human condition, its no surprise that the concept is written using a relatively simple kanji: 幸, a pictograph of some shackles. This isn't a phonetic borrowing and the leap from shackles to happiness is surprisingly short: if a slave was punished, chances are they would be put to death. If they were lucky, they'd just be clapped in chains. Happiness is all relative. The original character for 'railway station' 駅 was 驛. Here you can see a beady eye 目 looking over the shackled prisoners 幸 from one to the next 睪. In the same way, a station is where you move from one horse 馬 to the next. The derivations of the meanings of kanji is often difficult for us to appreciate, but this would have been more obvious to the ancient Chinese reader as 睪 and 驛 were pronounced the same way. 辛 looks similar to 幸, but the two are not directly related. 辛 is a needle, and its modern meaning of 'hard going' tsurai or 'spicy' karai (both, confusingly, written 辛い) are from the sense of prickling with needles. However, 辛 does appear in characters related to people in less than fortunate circumstances for a slightly different reason. 童 means 'child', and is in words such as 児童 jidō 'child', 童話 dōwa 'children's story' and 童謡 dōyō, 'a children's song' or 'nursery rhyme'. The original character has a needle 辛 above an eye 目 and a weight 重 at the bottom. This needle is a tattoo needle, and indicates that the person has a mark above their eye. In other words, a person with a marked forehead that carries heavy weights: a slave. From there it meant someone who was not a full person, and by extension a child. Marking slaves with a tattoo was a common practice, and was used in Japan up to the Edo period as a means of identifying criminals. The actual mark depended on the region. One method was to write the kanji for 'dog' in three stages for each crime committed 一 ナ 犬 ; the fourth punishment would be death. The kanji 僕, which, although is used as the male first-person pronoun boku, is also read shimobe to mean slave or servant. The original character again shows a needle 辛 marking a person's forehead, and 其, a winnowing basket. 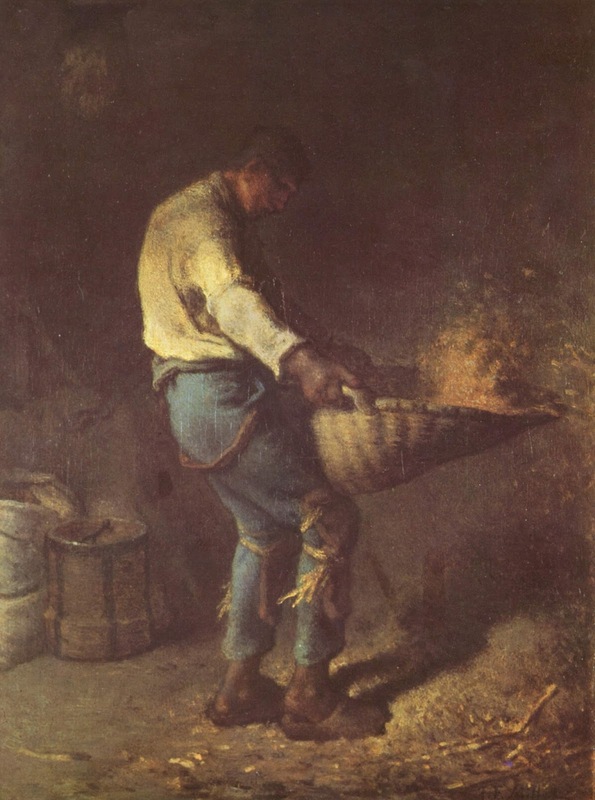 The basket is filled with grain, and then the grain is repeatedly tossed into the air as the wind carries away any chaff, the worthless part. The person also has a tail (the ↟), i.e. caught by the tail. So we have a caught, worthless, marked worker: a slave. The needle and the winnowing basked merged together into 丵 and then were replaced by 菐 which had the same sound as the original character, despite having a different meaning. 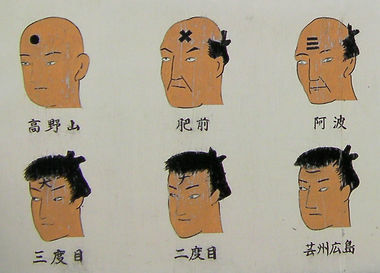 The character for people (as in 'the people of a nation') 民 comes from a pictograph of an eye being stabbed by a needle. A common punishment for slaves was to blind one eye. It made them easily identifiable should they try to run away, as well as being gruesomely oppressive enough. The character then became a way of referring to slaves: 'hey, you know, those people who we stab in the eye', and from there to mean 'those people', 'the people'. At first it may seem inappropriate that China includes the character in its modern name: 中華民国. But it's a reminder that, ideologically at least, the oppressed are now the ones calling the shots. When first learning how to say the date in Japanese it can seem strange that the months of the year are just given numbers. In English we do that for years and days of the month, but for some reason feel that months should have their own special names, even though we often use numbers as an abbreviation. In Japanese the number is the official name so August is simply 8月 (hachi-gatsu). However, when the Chinese lunar calendar was used in Japan each of the months had its own special name as well as the number. Most of the names are quite poetic and fit in well with the four seasons, but have dropped out of use. As the lunar calendar begins in the middle of February, they're often a month or so out of synch with the weather in the solar calendar, although a few survive in idioms and as alternatives to the more standard numbering system. There are a couple of possible explanations for this name. 睦 means 'harmonious' or 'friendly', so it was the month to be friendly, greeting people as part of the New Year. Alternatively it could be from 元月 もとつき (mototsuki, origin/base month) as it is the first month of the year, and the pronunciation changed over time from mototsuki to mutsuki. February is a cold month, so you need to wear another layer of clothes, hence the name 衣更着. 衣 ki(nu) is clothes or cloth, 更 sara means 'even more' and 着 is the ki of kimono, literally 'a thing for wearing'. So 'clothes and even more clothes'. The month when the grass at last 弥 ya grows 生 oi again. The Yayoi period, between approximately the third century B.C. to the third century A.D., is named after an area in Tokyo called Yayoi where an earthenware pot from the era was discovered in 1884. The month when 卯の花 unohana blooms. Satsuki is still quite widely used in idioms, although usually written as 五月. This is because, as the lunar year starts a month later, 皐月 was the month of the rainy season. However, as its association with being the 5th month of the year haven't been lost, the words are often used to refer to the weather in May. The month isn't names after the rains, though, and sa is an old word for ploughing, or is short for 早苗 sanae 'early shoots'. Clearly agriculture was more of a concern than the weather! In the film となりのトトロ (Tonari no Totoro), the two girls are called Satsuki and Mei, both named after this month. The kanji mean no water (水 + 無), but the na was originally no, so it was 'the month of water' rather than 'no water month'. The kanji for 'not' was just used for its sound. This doesn't mean rainwater, as the rainy season was the previous month in the lunar calendar. Instead, this is referring to the filling of paddy fields. There is an alternative theory that it refers to the fact that this is the month after the rainy season in the lunar calendar, so it really is (relatively) 'without water', but given that the name of previous month isn't related to rain, as explanations go, it doesn't hold much water. Fumi means letter or writings, and one likely explanation is that this is the month of Tanabata when people write their wishes or poems on strips of paper called 短冊 tanzaku. One explanation is that this is the month when the nights start getting longer 長. The kanji means no gods (神 + 無). There is a folk etymology that all the gods of Japan would go to Izumo in Shimane prefecture during October, so there would be no gods anywhere else. 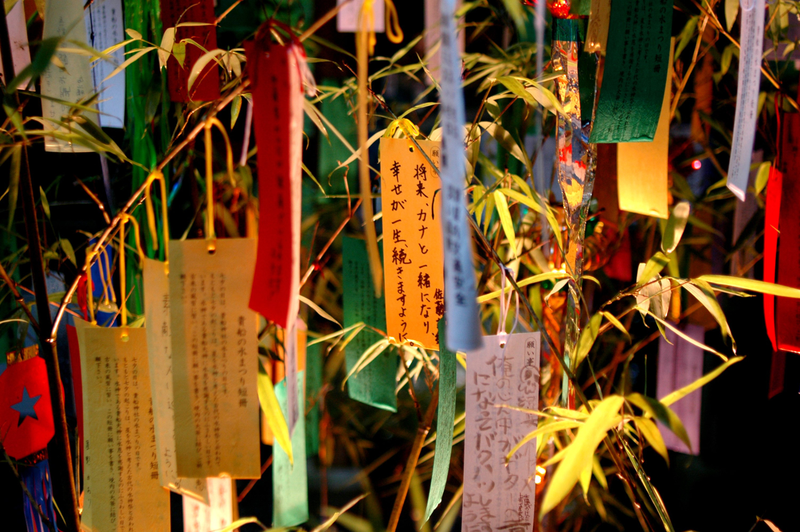 However, as with Minazuki, the na is probably no, giving 'the gods' month'; the harvest is in so this is the month for celebration, with parades and giving thanks to the gods. The month of frost (霜 shimo). The kanji mean 師 teacher and 走 run. The end of the year is very busy for Buddhist priests. A likely origin could be 師馳す　shi +hasu. Hasu or haseru in modern Japanese, means to run or hurry. Aru and iru are two of the first words that students of Japanese learn. Aru is for inanimate things and iru is for animate things. テーブルの上にペンがある。tēburu no ue ni pen ga aru There is a pen on the table. 庭にワニがいる。niwa ni wani ga iru There is a crocodile in the garden. The pen is inanimate, so we use aru. The crocodile is animate, so we use iru. あの人は子供がある。ano hito wa kodomo ga aru That person has children. However, this is just ticking the ‘has child’ box, rather than conjure up images of living breathing children. In this case, iru is preferable, and as a non-native speaker if you use aru it may sound like a mistake. The distinction between iru and aru gets more interesting, though, when you consider what it means to be ‘animate’. Live fish for sale in a supermarket, would use aru. They may be alive, and animate, but they’re food, first and foremost. Live bait is the same. There are live fish (for sale) at the supermarket. The rabbits that we'll use for the crocodile's live bait are in this cage. Lice and fleas as well can be distinguished in this way. Iru and you’re talking about a creature, aru and you’re talking about an infestation. The use of aru depersonalises them; they’re condemned. There is a flea on (your) shoulder. On the other hand, you can use iru to give life to inanimate objects. There's never a taxi when you're in a hurry. Cuddly toys in a shop for sale would be aru. Who cares about them? But a child’s favourite toy would be iru, because of the personal relationship between the toy and the child. In Toy story, Andy would use iru with Woody, even without seeing him move. Because to Andy, Woody is alive! In Toy Story 3, he might use aru, though. Poor Woody. ウッディとバズがベッドの上にいる Uddi to Bazu ga beddo no ue ni iru Woody and Buzz are on the bed. ウッディとバズがゴミ箱の中にある Uddi to Bazu ga gomibako no naka ni aru Woody and Buzz are in the bin. The distinction is very much at the discretion of the speaker, and given the right context, almost anything could use either. NHK has a remit to provide television that commercial channels don’t, and produce quite astounding concepts such as panel shows about washers. I don’t mean anything related to cleaning, but the small disk that goes on a bolt to help the nut stay on. As I say, NHK take their remit very seriously. The fact I was watching such a programme says more about the quality of commercial television in Japan than it does about my interest in washers. Anyway, after various explanations about the importance of washers, they wheeled on a rusty old bicycle. Do you think we can unscrew this bolt? They asked, showing just how rusted and manky the nut was. A quick spin of the spanner, and off it came. The big reveal: there was a washer there, stopping the nut from rusting to the bolt. In surprise, one of the panellists exclaimed: ワッシャーがいた！Wasshā ga ita! This wasn’t just a simple ring of metal: it was the hero of the day. By using iru, she’d granted the washer a soul. Japanese verb conjugations are often said to be easy, due to having so few irregular verbs. However, that doesn’t mean that they are easy to use. The causative, despite being a fairly elementary bit of Japanese, is really hard to master. It’s not used as much as other verb endings, and it feels so different from English equivalent that it doesn’t come naturally. I’m not going to cover how it’s formed; there are plenty of other places on the internet with that information. What do I want to explain is how it logically fits in with way of thinking behind Japanese. Let’s take a simple situation. We’ve got a queen, a crocodile and the seven dwarfs. The queen, alloyed that the dwarfs helped Snow White, sets the crocodile on them. Things don’t end well for the seven dwarfs. There are three participants in this incident, and we can describe what it happening with each of them as the subject. The queen makes the crocodile eat the seven dwarfs. This sentence has two objects: the crocodile and the dwarfs. Japanese doesn’t like having two を in one sentence, so the actor, the crocodile, is marked with a ‘ni’. Now, what does the queen do? In Japanese we can drop the objects and it’s still a grammatical sentence. She caused it, so the verb is in the causative. What does the crocodile do? He’s doing the main action, so his verb is in the active voice. Finally, the poor seven dwarfs. The seven dwarfs are eaten. What do the seven dwarfs do? They are the victims of this heartless attack, so the verb is in the passive. I believe that linguists normally use the word ‘patient’, but victim is more appropriate, and this very apt for the Japanese passive that tends to have a negative sense. You can see that the causative, active and passive voices can be used to change the focus of the narrative, even though they’re all describing the same scene. In English and many, if not all, other Indo-European languages, it is very important to include information on who is the subject; the person, gender and number. Is the subject the person speaking, the listener, or somebody else? Are they alone, or in a group? English has mostly lost the verb inflexions that mark this, but the pronouns live on and it’s still a core part of the way of thinking behind the language. In contrast, Japanese doesn’t really care about that. The language is far more interested in the role of the subject. Did they cause it? Did they do it? Were they affected by it? This is why Japanese doesn't really have pronouns in the same way English and other European languages do. There is such a wide variety of ways of saying 'I' and 'you' in Japanese because they're not grammatically fundamental to the language and are therefore easier to change. The meaning translates easily into English, but not without losing the symmetry in the verb forms. Often for any given situation you only hear a single sentence describing it, so the relationship between the causative, active and passive isn’t always obvious, but knowing the relationship between them is key to understanding the internal logic of the Japanese language. Whilst it's fortunate that a 21 stroke character has been reduced to a mere 13 strokes, the new form is less than lucky. It was first used as a military abbreviation and appeared in a list of approved kanji for weapon names in 1940. Two years later, the abbreviated form was included in a list of government approved common kanji, but with the old form after it in brackets. On 5 November 1946 the approved list of tōyō kanji, the precursor to today's jōyō kanji, was released and included both characters as alternatives. However, the very next week, the old form was removed; 鉄 would be the only approved form. The final nail in the coffin for 鐵 came in 1948, when parents were limited to the 1850 kanji in the tōyō list for naming their children. As 鉄 was the approved form, 鐵 was not permitted. What this also meant is that company names also had to use 鉄. This wouldn't be a problem, but the new character is made up of 金 (metal or money) and 失 (to lose). お金を失う?!! That's not particularly auspicious for a company that hopes to make a profit. It's looks normal at first glance, but the 鉄 in 鉄道 is rendered as 金+矢 instead of 金+失. 矢 means arrow; apart from its resemblance to 失 it is entirely unrelated, but at least it can't be construed as having a negative meaning. Now, JR and other companies with 鉄 in their names aren't paranoid about using the character, and will only use the non-standard form when practical. Their web site isn't filled with lots of tiny image files at every occurrence of the offending kanji. This demonstrates two interesting features of kanji: the potential for hidden meanings, and the ease with which new forms can be made up. It's particularly ironic when the made up form only became necessary when the original was made obsolete.Kanji is a very serious word game! © 2016 Robin Andrews. Awesome Inc. theme. Powered by Blogger.